"The ground-breaking work Lanz Lowen and Blake Spears are doing is providing important information and modeling about gay couples. The findings from their study will end up supporting gay couples for generations." Blake Spears is a founder and principal of InSight Healthcare and has eighteen years of experience in working with clients in the healthcare industry. Blake conducts research to assess market potential and the positioning of new pharmaceutical products and medical devices in a variety of clinical areas. Blake has moderated over 150 focus groups and conducted thousands of in-depth interviews with clinicians and opinion leaders. Blake’s academic credentials include a B.S. in chemical engineering from Virginia Polytechnic Institute and an MBA from the Stanford Graduate School of Business. 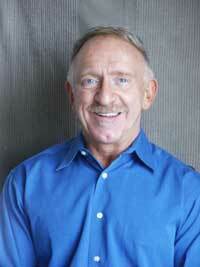 Blake has been on the Board of Maitri Compassionate Care since 2001. Prior to that he served on the Board of the Golden Gate YMCA. He is a founding member of the Lesbian & Gay Student and Almuni Association of the Stanford Business School . Blake’s interests include mediation, yoga, Tai Chi, and flagging.